The art market is virtually unregulated — prices are flexible, deals are made in secrecy, and “private collectors” remain anonymous — making it exceptionally ripe for money laundering. Disclaimer: Money laundering is a crime. Crimes are bad and against the law and illegal. For those looking for a good money laundering scheme, you might want to consider becoming an art collector. Sure, art looks nice, but it’s also a great place for rich folks to park their money. The market is relatively stable and it’s pretty easy to avoid paying taxes on art with a few insider tricks and a good accountant. The wealthy figured this out in a big way back in the 1980s, giving rise to ‘art stars’ valued in the millions. And with the increasing popularity and geographical scope of biennials and art fairs in the 1990s, rich people all over the world now have access to seas of multi-million dollar investments that can be rolled up and stored just about anywhere. Acrylic on Canvas, 152.4 x 152 cm. 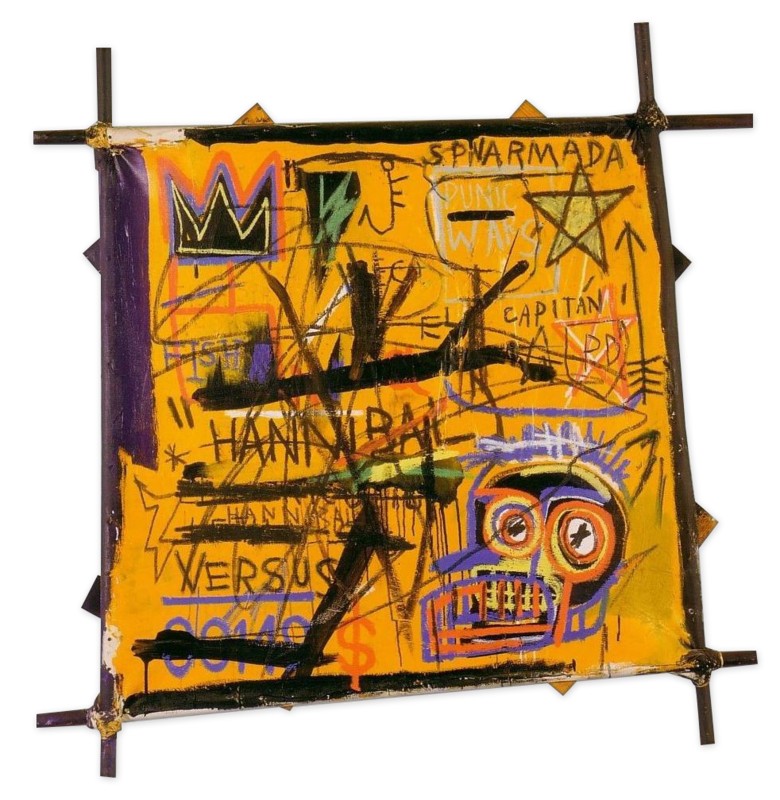 ← The crate went through customs with a valuation of $100, though it contained Basquiat’s 1982 painting Hannibal (commodities valued under $200 aren’t required to be declared at customs.) The painting had been bought and shipped by Brazilian Banker Edemar cid Ferreira in an elaborate scheme to launder over $50 million that was illegally obtained when Ferreira’s bank, Banco Santos, went bankrupt. Co-founder of the New York-based Winkleman Gallery and creator of the Moving Image Art Fair (which exclusively showcases video and time-based art), he regularly blogs about "art, politics, gossip, and tough love." This sort of hypercapitalist financial climate is the perfect breeding ground for white collar criminal activity. Money obtained illegally—from fraud, embezzlement, bribery, etc.—needs a hiding place. A huge deposit into a bank account, with no clear indication of where that money came from, is a red flag for the IRS. So instead of depositing dirty money, or holding onto it as cash, disreputable people will often turn the money into something else (cars, mansions) or filter it through a business so it comes out the other side looking like the profits of a legitimate enterprise. This is money laundering—the transformation of illegally obtained funds (or dirty money) into seemingly legitimate assets (laundered money, or at least Febreezed money.) Money laundering can be tricky since governmental tax and revenue agencies keep a close eye on how money is circulated. In the US, deeds and titles require a name, at least. Casinos, stockbrokers, mortgage brokers, etc. must report any suspicious activity or questionable funds to the government. And banks must report any transactions over $10,000 as suspicious activity. However, the art market—where the price of an artwork can rise or fall by the thousands from one sentence to the next, deals are made in secrecy, and “private collectors” remain anonymous—is virtually unregulated. “The tax laws in art make it basically legal to not pay taxes on art. If you’re a serious art buyer, you just get a good tax accountant,” former New York-based art consultant Beth Fiore tells Hopes&Fears. “If you show newly purchased works in certain museums then you never have to pay taxes on it.” Edward Winkleman of Winkleman Gallery maintains that his gallery keeps fastidious records of all transactions and pays taxes even on cash sales. But he admits that, “the state generally wouldn't question what is reported.” He also tells us that individual sales don’t need to be reported, only the totals for each quarter. Hypothetically, someone could buy millions of dollars worth of art without the IRS knowing, and then later sell those works for a “legitimate” profit that looks clean on taxes. Well, they are. In 2014, Texas business man Phillip Rivkin was charged with 68 counts of fraud after using millions of dollars worth of photographs to launder money. He had made over $78 million through fraudulent schemes involving his biodiesel production companies—which didn’t actually produce any biodiesel. Rivkin spent roughly $16 million dollars on 2,200 fine art photographs by artists like Edward Steichen, Alfred Stieglitz, and Edward Weston. Works included Edward Weston’s Dunes, Oceano, a gelatin silver print that Rivkin purchased from Sotheby’s for $134,500 and another vintage gelatin silver contact print by Alfred Stieglitz, From the Shelton, West. Rivkin wired Camera Lucida, the seller of the photograph, $150,000 to purchase it. The following year, in 2013, an even more high-profile laundering case surfaced when a Jean-Michel Basquiat painting worth $8 million was found in a crate at Kennedy Airport on its way from London. The crate went through customs with a valuation of $100, though it contained Basquiat’s 1982 painting Hannibal (commodities valued under $200 aren’t required to be declared at customs.) The painting had been bought and shipped by Brazilian Banker Edemar cid Ferreira in an elaborate scheme to launder over $50 million that was illegally obtained when Ferreira’s bank, Banco Santos, went bankrupt. In 2004, Ferreira went $1 billion in debt after his financial empire, much of which was built on embezzled funds, collapsed. During his reign over Banco Santos, he had bought 12,000 pieces of art. In 2006, Ferreira was sentenced to 21 years in prison for bank fraud, tax evasion, and money laundering. But before his arrest, $30 million of his art collection was smuggled out of Brazil. The scheme was uncovered when Hannibal was found at JFK. According to court papers, the painting was originally bought for $1 million in 2004 by a Panamanian company called Broadening-Info Enterprises, which was later discovered to be owned by Ferreira’s wife, Márcia. — Auction results are often the best indicator of art prices since they are public and private sales are rarely revealed. Prices for contemporary art at auction have shown consistent increases. Just looking at the earliest numbers Sotheby's lists for their annual Spring auction, one can see the enormous changes this market has experienced. Mario clouds not bootleg v1.1 by "Cory Arcangel"
↑ Mario Clouds Not Bootleg V1.1 is a variation on Super Mario Clouds by Cory Arcangel. 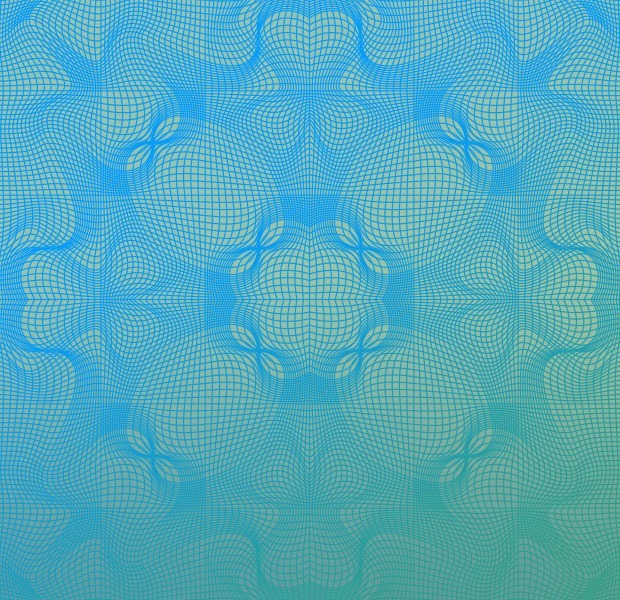 It was made available on the site NetVVorth as part of a collection of "forged" works by iconic digital artists. (Arcangel also offers instructions on his website that allow anyone to create a bootleg version of the piece.) It is still credited to "Cory Arcangel" in an attempt to highlight the ease of forging digital work. Moving the funds from direct association with the crime. Disguising the trail to foil pursuit. Making the money available to the criminal, once again, with its occupational and geographic origins hidden from view. And in response to Beijing’s strict capital controls which make it illegal for an individual move more than $50,000 out of China per year, wealthy folks from China are turning increasingly to smuggling art out of the country instead. "Items can be bought and sold relatively anonymously, and even when a transaction occurs, complex ownership schemes -- many with a degree of secrecy attached -- are widespread," Paul Tehan of TrackArt, a Hong Kong-based art risk consultancy, told CNN. According to Tehan, senior managers of an art shipping company based in China were arrested for allegedly forging the value of imported art in order to help buyers avoid paying millions in duties. Law enforcement officials in the United States say that “thousands of valuable artworks [are] being used by criminals to hide illicit profits and illegally transfer assets around the globe.” So don’t get discouraged by the cases we’ve outlined above. People do it all the time, they just don’t get caught all that often. So, for those of you interested in laundering money through art in the near future, we’ve talked to some experts and culled a few how-to tips. We’ll let you use your own creativity on this one. If you can’t come up with any ideas, ask your Congressman. According to former art consultant Beth Fiore, people don’t normally buy art with cash in the US; “Cash payments for art happen in Russia [and the] Middle East” more often. So if you’re keeping your fortune under your mattress and don’t live in either of those places, you’ll need to get your money into a bank account without alerting the authorities. One way to do that is by smurfing. Despite the mental image of a blue cartoon character riding a surfboard that you may have conjured, smurfing means depositing money into a bank account or several bank accounts by breaking it up in to many small amounts that are deposited at different times, by different people. US banks must report any deposits over $10,000 to the IRS, so in order to stay sneaky, you’ll need to make a series of deposits that are less than that amount. You can hire “smurfs” to help you, who are often ordinary people willing to make an extra buck by opening up a joint bank account in their name, that you or your company has access to, and depositing money into it every day. Open a foreign bank account in a tax haven like Switzerland or the Cayman Islands. Banks in these countries are not required by law to hand over information about your account to anyone without your consent. If you open what's called a “numbered account” in a private Swiss bank like Union Bank of Switzerland or Credit Suisse Group, a number or code name will be associated with the account, rather than your name. To open a numbered account, you will most likely need to travel to Switzerland to do it, though if this is impossible, there are firms that help people set up off-shore bank accounts that can help you. You will most likely need to make an initial deposit of at least $100,000 to open the account, which will cost roughly $300 a year to maintain. To access the money you have stashed away in an offshore account, use the credit card that the bank supplies you with. You can also wire a gallery or auction house money directly from your bank account to theirs. This may give away the fact that you have a foreign account, but the name of the bank will mostly likely be the only information given. Contact an art advisor to help you find a buyer for your work or see if an auction house like Sotheby’s or Christie’s wants to auction it for you. If they help you sell your collection, they will make money, so it’s in their best interest not to ask any questions. Make an appointment with an auction house to appraise the pieces in your collection. You’ll sign a contract that says you are allowing the auctioneers to sell your collection on consignment, which means if it sells you get paid, and if it doesn’t you get the art returned to you. It will also tell you what sort of fees you will be charged - like insurance, shipping, and the auction house’s cut. You’ll ship the work to the auction house, wait for your collection to be sold, and make it rain. At this point, there is no need to be anonymous or stay sneaky. This is the step that “proves” your money came from legitimate means - selling art. When it’s time to pay taxes, you’ll pay taxes on the money you earned from selling your art collection, which will appear to be the legitimate source of your newfound wealth. Yippee! While the US art market remains relatively unregulated, organizations across the globe are taking steps to hold dealers accountable for reporting illegal activity. In February of 2013, the European Commission passed ordinances that require European galleries to report sales above 7,500 euros paid in cash, as well as file suspicious-transaction reports. And in the beginning of this year, a forum was held at the World Economic Forum in Davos, Switzerland in which economist Nouriel Roubini, among others, spoke on the art market’s susceptibility to laundering and other economic crimes like tax avoidance and evasion. “Anybody can walk into a gallery and spend half a million dollars and nobody is going to ask any questions," said Roubini according to Swiss Info. Okay, so maybe laundering money through art isn’t a breeze. It requires tons of planning, a team of accomplices (but you get to call them smurfs! ), trips to Switzerland or the Cayman Islands (poor you), and well, committing a crime. But if you’re already in the position to launder money, starting an art collection seems like the sweetest option. In the end, maybe this guide was never intended for amoral businessmen in the first place (unless we’ve sorely misjudged our readership!) Maybe this it's more useful to the emerging artists who look for validation (read: dollar signs) in a competitive market. Maybe the artist’s secret to success is appealing to the corrupt and becoming an accomplice to white collar crime (but hopefully not). Are economic criminals the driving force of the art economy? Probably not, but what we do know for certain is that art isn’t only valuable as the evidence of creative genius. It is, to many, a vault.